Leisurely paced and heart-warming, “Summer In The Forest” is a documentary that observes the day-to-day lives of several long-term residents living in L’Arche, a community that embraces those diagnosed with a mental or physical disability. 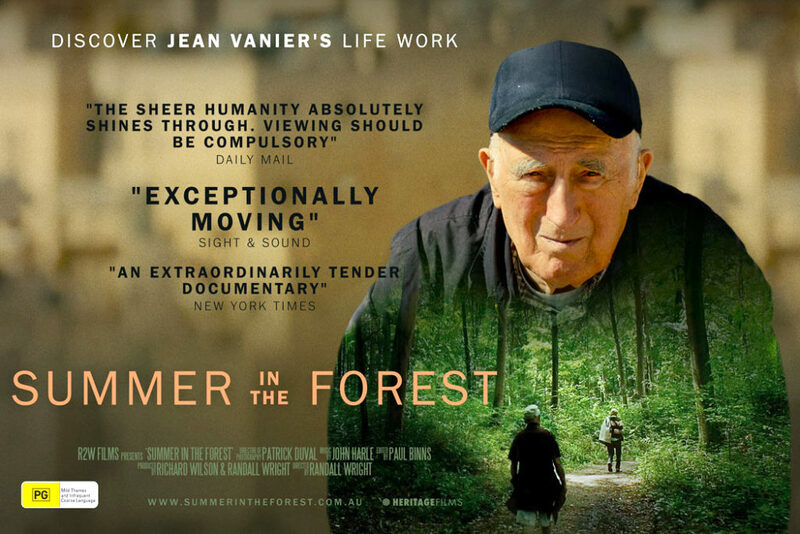 The feature length film features the Founder of L’Arche himself, Jean Vanier, a French-Canadian ex-soldier who happened upon the community in the early 1960s. Featuring both on screen and supplying a voiceover throughout of the film, Vanier described his first encounter with the community as loud, chaotic and often violent. Yet, the connection he formed with the people was instant and he chose to stay. Now in his 80s, his kind-hearted nature is transparently displayed as the film documents his ongoing contributions and beloved relationships with the people of L’Arche. Beyond Vanier’s story, Wright incorporates several residents including Michel, who has vivid memories from World War II; Andre, “a deeply wounded child” whom came to L’Arche with nothing but feels enriched with “everything”; and then there is David, the macho-man who has little interest in being labelled as small. Many of the tender, vulnerable moments of the documentary are candidly born from the way people within L’Arche highlight their past mistreatments; often treated poorly by people who don’t understand them. But the direction from Randal Wright opts not to reveal the clinical diagnoses and focuses rather on the experiences and relationships of these people, not allowing any preconceptions about their mental disability to take away from their humanity. Wright’s choice to do so, questions what it is to be human and evokes sympathy within the viewer. It was not so long ago, where the mentally disabled were commonly ignored or mistreated, shut away inside inhuman psychiatric asylums to be kept away from public interaction. But the creation of L’Arche has provided a model that has since been a model adopted in 37 countries, where instead of being shut away from society, they built their own safe, independent community of acceptance and value. “Summer In The Forest” is an honest, pure documentary that offers a glimpse into an alternative community, lyrically accompanied by the picturesque French countryside. And although it might not be a utopia, it remains a hope for those cast aside for being different.